Theft and vandalism on business premises or in the home can be reduced by effective security. Apart from the obvious benefit of minimising losses, this will also provide increased peace of mind to staff or residents and from the business perspective is likely to lead to happier work environment, increased efficiency, improved image with customers and sometimes lower insurance premiums. Using a systemised approach, Surelock carry out a full survey of your home or business premises. The site perimeter, integrity of buildings and vulnerability of individual rooms are examined in detail together with existing physical/electronic measures and procedures already in place to reduce crime. The results are then presented in a clear, fully illustrated and easy to understand report. This summarises the findings of the survey, quantitatively assesses the overall vulnerability of the premises, highlights areas at risk and offers appropriate and cost-effective suggestions as to how these may be addressed in the form of a prioritised Action List. For clients looking to purchase new business premises or a new home we offer the above security evaluation which includes additional visits to the premises ‘out of hours’ assessing the area at night. 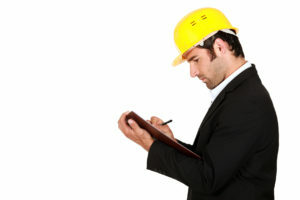 NEED ADVICE ON SECURITY SURVEYS & ASSESSMENTS?